An all-in-one sensation station. 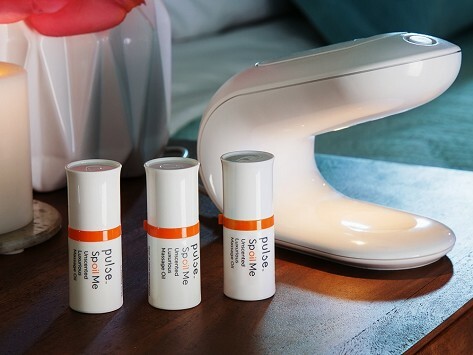 The Pulse massage oil warmer automatically dispenses its own massage oil pods, thanks to an infrared motion detector. This touch-free approach makes things easier and cleaner, and the sleek, compact device is a discreet addition in your space. Hypoallergenic, fragrance-free massage oil pods are made with a natural formula free of parabens and petroleum.